Dash cams are growing in popularity as more and more drivers are finding value in installing them. Whether you install a simple, front-facing dash cam or invest in a more comprehensive monitoring system for your vehicle, there are many ways these devices can benefit you. Here are a few reasons why you may want to consider installing a dash cam in your car. When accidents occur, drivers recollections can vary. Normally, police would gather reports from those involved in the accident along with any eye witnesses. However, with dash cam footage, you have hard evidence of the incident which can help determine who was at fault and potentially save you from increased insurance rates. In addition, the video footage can possibly expedite your claim by avoiding numerous discussions with insurance companies to determine who was at fault. Your dash cam may save you from a wrongfully issued ticket. Since moving traffic violations typically give you points on your state driving record, which usually result in higher car insurance rates, it may be worth it to install a dash cam. If you feel you were wrongfully stopped, you can supply the officer with your dash cam footage. If the officer refuses to watch it, you can bring it to court to contest your ticket. Unfortunately, insurance fraud is more common than you would think. If you feel you may have been involved in or witnessed a staged accident, your dash cam footage can be turned into the insurance companies involved or the state insurance fraud unit for investigation. If you feel so inclined, you can review your daily driving videos to become a better driver. You can watch your videos to identify driving mistakes and ways to prevent them, such as braking too hard or switching lanes abruptly. If you have teenage drivers in the family, you can review their driving skills and habits so you can help them avoid accidents or tickets. For these cases, a two-way dash cam can help you see what’s going on both on the road and inside the vehicle. Not only can this help keep your child safe, but a clean driving record can keep your insurance rates low as well. Some dash cams provide a standby mode which allows the camera to turn on when motion in or around the car is detected. If someone tries to break into your car or hits your parked car, you get video footage to identify what happened and the persons responsible. You can submit this as evidence to the police as well as your insurance company to prove how the damage was done. You’ve seen those viral dash cam videos that capture incredible events like meteors or other celestial events in the sky. While these are interesting and often once in a lifetime occurrences, you can also capture things like a deer running into the road causing an accident or a rockslide that caused damage to your car. In these instances, you can provide your insurance company with evidence to prevent rate hikes. If you have a dash cam in stalled in your car, how have you benefited from it? What made you decide to install a dash cam? Share your experiences with your peers and us on Facebook, Twitter, LinkedIn, and Pinterest. Visit SecurityCamExpert.com to browse our selection of security cameras, CCTV surveillance packages and more. You can call 888-203-6294 to schedule a site survey or request a FREE quote today! Thanks to their popularity in Russia, we have an abundant supply of dash cam footage, from heart-stopping driving blunders to failed carjackings and more. While these videos often go viral, dash cams serve a much more meaningful purpose. Because the streets of Russia are often filled with lawless drivers, many have turned to dash cams for their own safety. The use of dash cams is also spreading to the rest of Europe, Australia, and even the US. Many patrol cars are equipped with dash cams that record both the inside of the cabin and the road ahead. Dash cams are relatively small in size and are often mounted onto your windshield via suction cup. They can plug into a 12V power supply within your car, and most have a backup battery to save footage in case power is lost. Video is usually recording on a continuous loop on an SD card; when storage is full, the oldest footage is deleted first to make space for the new recordings. You get what you pay for when it comes to dash cams. With a higher price tag, you usually get dash cams with built-in GPS, which tracks your speed and location, better night vision resolution, and parking mode. Dash cams were largely adopted by taxis, trucks, bus drivers, and businesses with large fleets. Now, everyday drivers are using them as a way to provide evidence when a collision occurs. Aside from witness accounts, which can be fairly subjective and sometimes inaccurate, dash cams can provide hard evidence. Despite this, installing a dash cam may not lower your insurance rate, but it can help speed up the process when you are involved in a crash. The footage obtained is admissible in court and can help determine who is at fault. It can also help to prevent insurance fraud, in which drivers deliberately cause accidents to extort money. 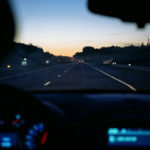 Aside for aiding in the case of car accidents, dash cams can also capture parking incidents, road rage, and even help parents feel at ease by monitoring teenage drivers. Do you own a dash cam, or are you thinking about it? What benefits are most appealing to you? Share your thoughts and experiences with us on Facebook, Google+, and Twitter. Find us on Pinterest and Vine, too. For an excellent dash cam, choose our Thinkware FXD700 2CH Full HD Car DVR Blackbox Camera with GPS or browse the rest of our security camera selection online at SecurityCamExpert.com. If you have any questions or need assistance, please call 1-888-203-6294. You’ve likely seen dash cam footage from police cars, which is utilized to keep both officers and the public safe. But did you know investing in a dash cam for your own car could benefit you? Dash cams provide great evidence for any auto accidents you may encounter. If you’re involved in a car accident, you can provide footage to tell what happened and who is at fault. If your car is parked, you can keep your camera rolling in case something happens while you’re away. Aside from this, dash cams can also capture the unexpected things you come upon on your drive, or can even aid in documenting a road trip. There are countless benefits to installing a dash cam in your car. If you’re considering investing in a dash cam, our Thinkware FXD700 Full HD Car DVR Blackbox Camera with GPS is a great choice. This dash cam provides 1920×1080 Full HD Video Recording with a 16GB memory card. This amazing picture quality will provide great footage, whether it will be used for evidence or fun memories. The different recording modes allow you to capture the footage that you want. Continuous recording is automatically activated when you start the engine, and there is no need to recharge or replace the battery. The built-in gyro sensor detects impact, and with Incident recording, starts saving footage 10 seconds before an impending collision. When the car isn’t running, the camera goes into Parking Mode, which acts upon motion detection. This motion detection can also catch any potential burglars lurking around your car. With built-in GPS, speed and location can be determined. This can be especially helpful for any accidents on the road, as people sometimes forget the details before impact. The GPS can also help you keep an eye on your kids and their driving habits. Improve your car safety with our Thinkware FXD700 Full HD Car DVR Blackbox Camera with GPS. With a beautiful design, convenient features, and a cost-effective price, you’ll be pleased with your purchase. Learn more about this dash cam, and our other security cameras, online at SecurityCamExpert.com, or give us a call at 1-888-203-6294 to speak with a representative. We’ll be happy to answer your questions and help you find what you need. You may also connect with us on Facebook, Google+, Twitter, and Pinterest.